Collection of waste in the home is an inevitable part of your lives. What’s also inevitable is getting rid of all the unwanted garbage regularly to minimise clutter, avoid disease, prevent accidents and make the home look organised. If you’re in need of professionals who can help you dispose and transport massive volumes of rubbish that have accumulated in your home, it’s time for you to call on a trusted skip bins rental provider in Adelaide. The efficiency of a skip bin hire Australian firm will largely depend on the ability of its staff to answer your enquiries. A company that is prompt at providing answers reflect their commitment to excellent customer service. Knowledgeable customer service staff will help you determine which company has the resources, skills, and experience in doing a good job at waste management and garbage disposal. Hire the skip bin company that can adjust to your needs and budget. The flexibility of a company to cater to individual needs and preferences of its clientele speaks volumes of its ability to take care of a task, be it a small-scale home clearing project or a large-scale home extension activity. Skip bins hire companies that offer a wider array of skip bins in different sizes should be preferred over those with a limited or a small fleet of mini bins. If you don’t know which skip bin size to hire, the company should be able to help you choose one based on your need and budget. 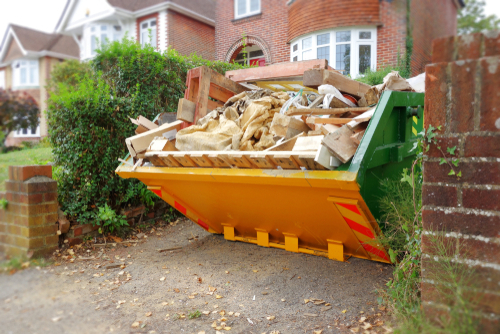 A trusted company will provide you with a list of items that you cannot dispose of using their mini skips. They will remind you that their skip bins can only transport and dump general waste and quarry materials. Objects that are considered unsafe or hazardous to health and environment should be disposed of in a different way, and with the assistance of a company that specialises in hazardous materials, electronics, and dangerous refuse. Take a look at the mini skips hire on offer here, or you may directly request a quote from us by calling us on 08 8325 3003 today.